The trip was well organized, although ABC was closed, they were able to quickly recommend Alternative route, Mardi Himal Trek. Went to the Annapurna Base Camp on the 20th till 30th Oct, 2018, 10 days trek with Highland Expeditions. Passang and his team of guides (Pemba, Shyam and cheerful porters) made it a truly wonderful and memorable trip. I already miss waterfalls, snow, rivers, bridges, mountains and the hospitable gurung people. Passang and his team made safety a priority while being cheerful company. Food was good and aahhh that ginger lemon honey drink throughout. Highland Expeditions – Best Company Ever!! I had the most wonderful first experience of Nepal through Highland Expeditions. Passang and crews attention and personal care ensured it was a safe and memorable adventure. I am a frequent traveller and have been to Nepal on three different occasions. Each time with different operator (Foreign and Local Company) but recently i travelled with Highland Expeditions after knowing them from my colleague and they are above all the companies i have travelled with before. After doing short and lower elevation treks previously during my trip to Nepal, this time i decided to do Everest Base Camp Trek combined with helicopter flight back to Kathmandu and i had a trip of a lifetime with them. From communication prior to arriving until the departure, everything worked perfectly. Passang welcomed me at the airport and after reaching KGH, he gave us trip briefing and covered all the important aspects of trek which was really helpful. Their guides were amazing and we couldn’t have made it without them. Hotel in Kathmandu, Tea Houses/Lodges, Guides and logistical arrangements were all top notch. After three consecutive trips to Nepal, I finally found a company that i can rely on. I can’t say enough good things about traveling with Highland Expeditions! From communication and information before the trip, to getting me out of Lukla during bad weather after the trek, I felt really lucky to be with Highland Expeditions. I made it to EBC with no altitude sickness, had an amazing local guide who helped me go at a slow pace and knew all about the region. I felt safe (as a solo young female traveler) the entire time, and reaching EBC was one of the highs of my life! Passang organized a custom solo trip for me. He answered all of my questions before and during, did all of my airport transfers and set up a really great tour around Kathmandu with a private guide for one of my extra days. More than anything though, I knew I went with the right tour company when all flights were cancelled to and from Lukla due to the weather after the trek. After only two days of being stuck, Passang got me the last spot on the last helicopter leaving for that day (only 2 helicopters had gone in days). Everyone else at my lodge was still stuck, some people for almost 8 days. To get a helicopter you HAVE to have someone with connections in Kathmandu and Passang made sure I got out and made my international flight. This trip was the trip of a lifetime for me! Every day was filled with the most amazing views I’ve ever seen and I will remember it for the rest of my life! 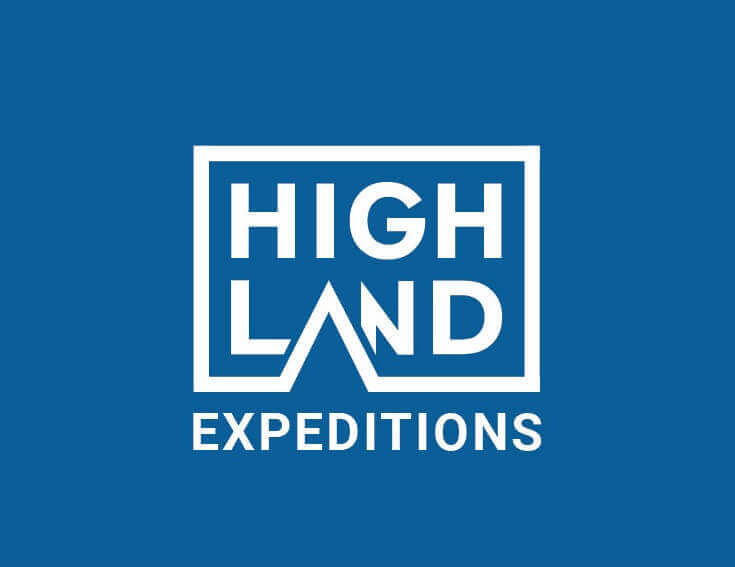 I think everyone should do this trip and use Highland Expeditions! We embarked on the trip little realising how demanding the logistics can be, the mountains and weather care for no one. Highland Expeditions with Passang and Mr. Kunga (Our trip guide) made our encounter with the magnificent mountains and lakes an amazing experience. Their care, concern, professionalism and expertise were beyond expectation. Highland Expeditions is a team i trust with my life. In the Himalayas, you need this. Also, very importantly was how well they looked after their staff and porters and how they provided our team of 3 with 4 staff. We saw many group with far far less staffing ratio. Not an easy trek but the exhilaration of walking with the Himalayas all around us made it all more than worth the while. Definitely recommended for anyone who wants to walk in a picture postcard setting. It’s cold, It’s tiring, It’s exhausting, you will be pushed to your limits but it was a life changing experience for us. Thanks to Highland Expeditions for looking after us so well. The trip was amazing. Walking in the clouds with knowledgeable guides with a high client to guide ratio was excellent. The scenery was breathtaking and with acclimatization, all sings of altitude sickness were averted. It was a tough climb but the guides went at a pace we could cope with. We started email with Passang Sherpa. He was very patient and thorough helping us decide our best options for a trek. Upon arriving he met us at the airport and someone associated with Highland Expeditions never left our sides. Everything was first class. The accommodation we a little rustic for w western, the service was all on point. They adjusted our speed based on our abilities and always asked if we need assistance. All the way until the end, the even dropped us off at the KTM Airport upon leaving and sent us a follow up email. Our guide, Kunga , was very warm and friendly – I guess the Nepal way. I would say they treated us like FAMILY – I just wish my family treated me so well. Please feel free to contact me for more info. Trip with memories to fill a lifetime. PS. Its a regular United Nations on your trek. You will meet people form all over the globe. Incredible interesting conversation in the Tea Houses dinning area! We went for 12 days EBC tour with helicopter flight back to Kathmandu with Highland Expeditions and they met all our requirements and preferences. Passang was very prompt to our email from the beginning and provided us very detailed information on trek, which helped us in planning for the trek from before and after meeting him and the fantastic crew of Highland Expeditions, we were well looked after and they were very professional in their work. I would recommend Highland Expeditions to anyone considering a trek in Nepal. Highland Expeditions came highly recommended by a friend who had previously trekked with Passang. We were very impressed and satisfied with the service level provided to us 3 ladies. We had the honor of having Kunga as our guide (very experienced climber). Assistant guide, Shyam and porters Sunil and Samir were very friendly and the team took very good care of us and met our every need, always ensuring we were comfortable and well fed. The daily treks were timed very well so we arrived at our home for the day early in the afternoon with sufficient time to enjoy the rest of the day. The porters would arrive at our lodge early to ensure we got the good rooms. Overall, it was an amazing and memorable trek with Highland Expeditions and I’m already looking forward to my next trek with them! Great Trip! Highland Expeditions met and exceeded all expectations. Kunga was a great guide who made sure we had a safe and memorable experience. What a joy when you stepped on Annapurna Base Camp without altitude mountain sickness! Thanks to Highland Expeditions led by Passang and his team for their considerate, caring and helpful nature. The trek was well organized , relax, well-fed (food was good) and accommodation was clean. Enjoyed the spectacular views of mountains, waterfalls, streams and forest along the trails. Daily briefing and repeated lessons on the range of mountains and villages and cultures with our endless questions. This is the 3rd time my travel-mates joined the Highland Expeditions for Nepal trek. Its speak all for their excellent service.